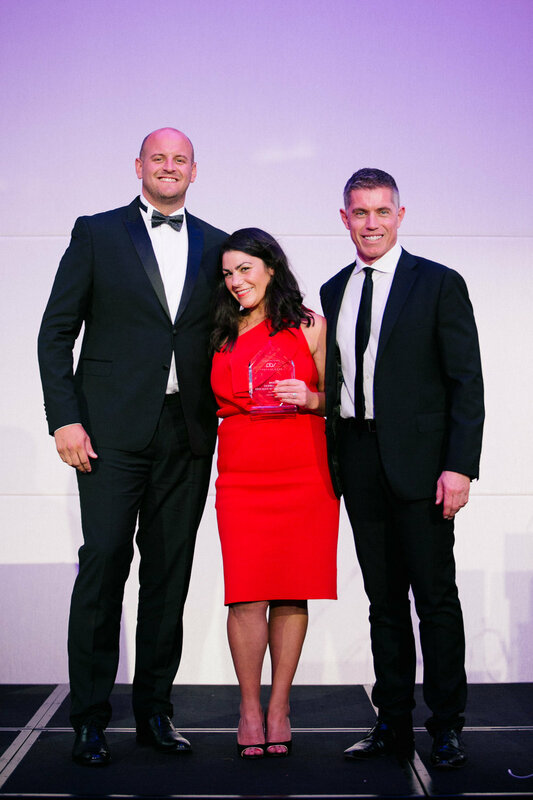 The newly launched Sofitel Sydney in Darling Harbour was the place to be on Saturday 8th September 2018, where 150 glamorous, excited guests arrived for Professional Beauty Solutions’ (PBS) 3rd Annual Awards Gala Dinner! With hundreds of salon owners and beauty therapists mingling and sharing their experiences from Beauty Expo earlier that day, MC Dani Lombard from Dani Lombard PR kicked off the festivities by welcoming all of the PBS salons, partners and international guests. As the drinks continued to flow, the awards ceremony kicked into full gear, with Darlinghurst beauty sanctuary, Vaia Beauty, being named the Dermalux Salon of the Year for 2018! Vaia Beauty founder Vaia Pappas introduced the Dermalux LED system over 2 years ago and has been blown away by the amazing results and transformations she’s seen on her clients. “We 100% believe in the amazing Dermalux LED and are so excited to grow with this technology!” she said. Boasting a clientele of beauty editors and influencers, Vaia Beauty is located inner-Sydney Darlinghurst and offers personalised beauty treatments to suit all your needs. Whether you’re looking for an aromatic facial, therapeutic massage, spray tanning, waxing or express manicure, Vaia and her team are experts in every field and deliver a luxurious, completely customised experience. Well done to Vaia and the team at Vaia Beauty! We’re excited to be a part of their success story and look forward to seeing how the salon continues to grow with Dermalux LED. Congratulations on being Dermalux Salon of the Year 2018!